Tabidansu is used during the ro season – especially in April. It is said that Rikyu first used it during Hideyoshi’s campaign against the Ho’ujo’u clan in Odawara. 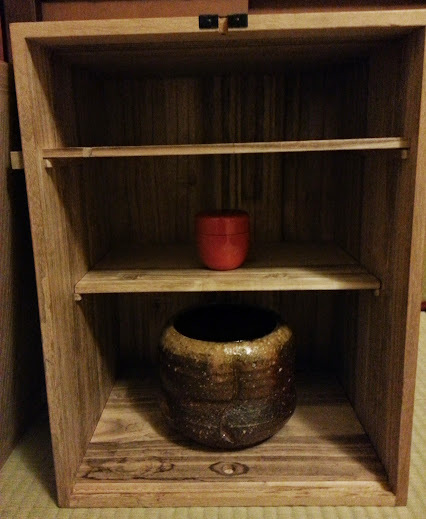 Unfinished paulownia wood is the Rikyu style. There are lacquered models that are preferred by Sei-sa’i or Rokuroku-sa’i. There is a tema’e called “shibadate” (as you would outdoors on the ground), in which the lower shelf is pulled out and placed on the tatami. The lower shelf can also be placed on top of the upper shelf. Or it can stay put, in which case the mizusashi is pulled forward by about one third of its diameter. 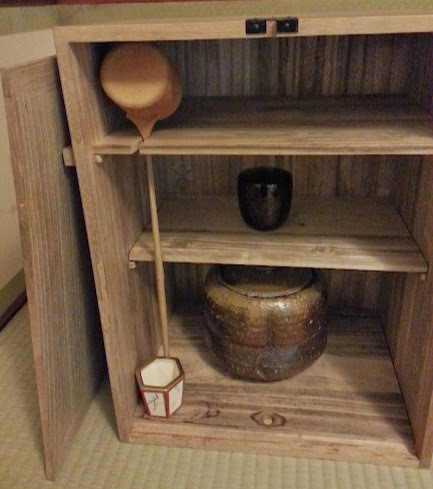 There are a variety of ways to decorate the tabidansu as well. 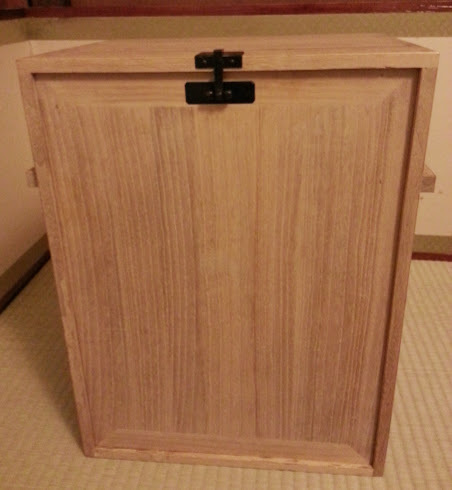 【Ko’icha】　The lid of tabidansu is left open, and the mizusashi is pulled forward. 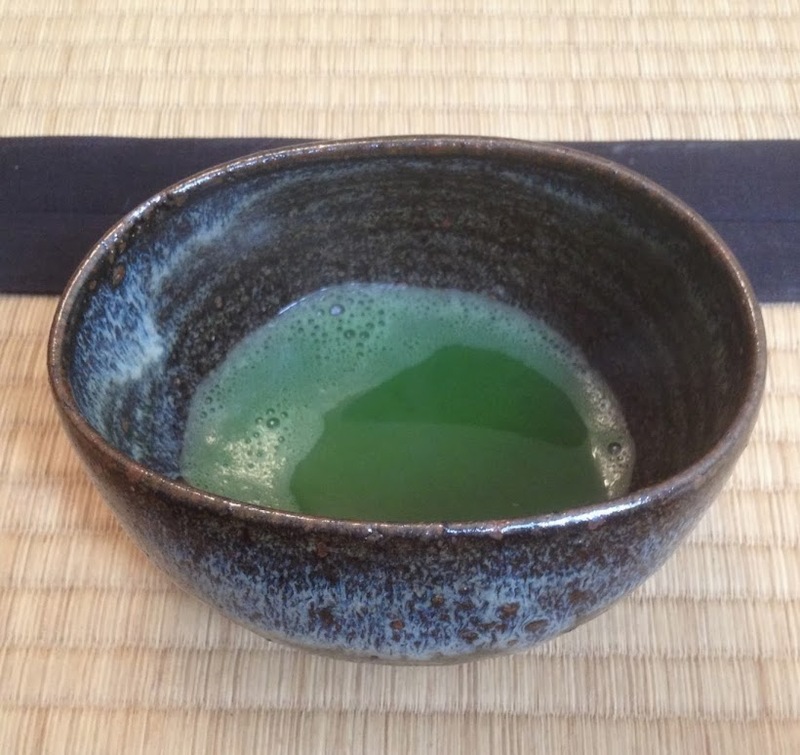 【Usucha Shokazari (Mode 1)】　Only usuchaki and mizusashi are displayed. 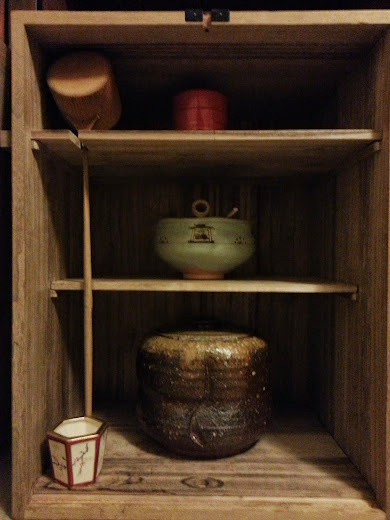 【Nikazari (Mode 2)】　The hishaku is hanging from the cutout in the upper shelf, and the futa’oki is below the hishaku‘s handle. 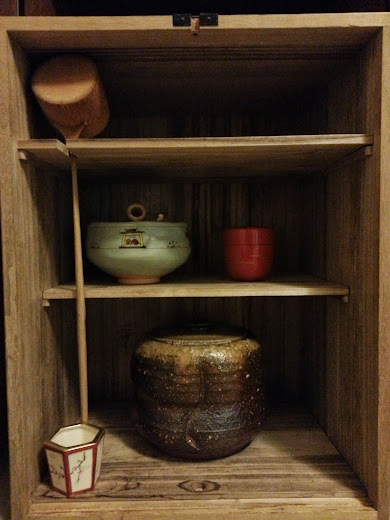 The usuchaki is placed in the middle of the lower shelf. 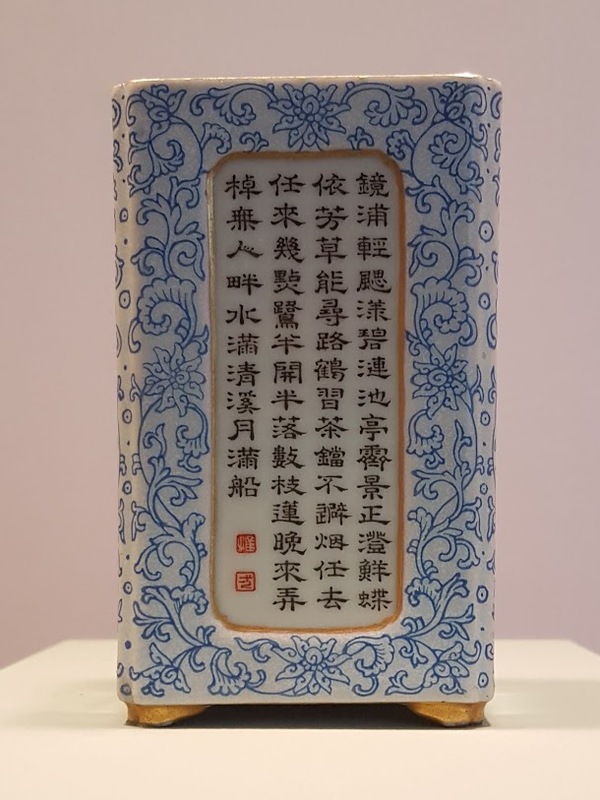 【So’ukazari (Full Mode)】　When the usuchaki and chawan are placed on the lower shelf, they are placed one at a time and with the right hand – just like niju’udana. 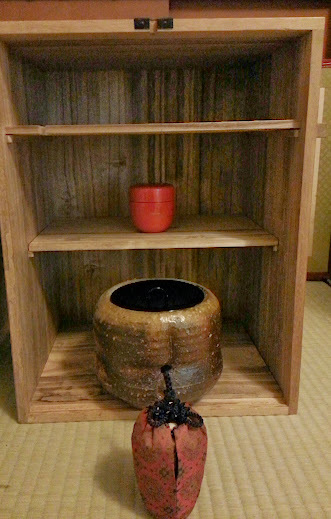 【Warikazari (Split Mode)】　The steps are the same as so’ukazari, but the usuchaki is placed on the top shelf, and the chawan on the lower shelf. Categories: 点前・Tema'e, 焼物・Ceramics, 茶道具・Tea Utensils, Japanese Tea Ceremony, 棚・Shelves | Tags: chanoyu, Japanese culture, Japanese tea ceremony, omotesenke, San Francisco | Permalink.